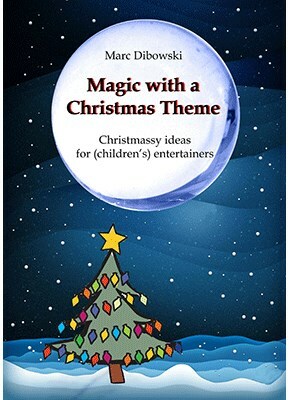 In this book, Marc Dibowski, author of some bestselling books in germany, shares ideas and effects for a magic act in the holiday season. Add a touch of winter and christmas to your kids show, stand-up, mental or close-up act. In addition to ideas on props, you will also find routines and ways to tailor your act for christmas without high expenses, without lots of props, without laborious efforts. The book is completed with information on Christmas characters, links to marketed effects including sources and information on Christmas traditions in different countries. As a bouns, Marc Explains an extraordinary mentalist routine for Christmas designed for any audience involving an Advent calendar, which is based on a clever principle never used before in this particular way.